How excellent leaders create a feeling of "we" among the members of their group, team or organization. How to get people to do the right thing on their own and then get them to do it again. 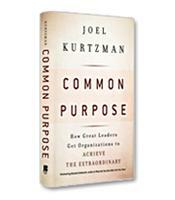 How to build a common purpose in a world besieged by failures of leadership. How to create sustainable, healthy organizations.